There are a few rare major masterpieces in this world that are equal to William Bouguereau’s “La Jeunesse de Bacchus (Youth of Bacchus).” Of equal significance would be Rembrandt’s “Night Watch” or Botticelli’s “Primavera.” People travel from all over the world to view paintings like this in a museum, and they are rare and far between. Even rarer is for such a painting to come to auction and be available for sale. It is almost unheard of. “La Jeunesse de Bacchus,” which is still owned by Bouguereau’s descendants, will come to auction at Sotheby’s New York on May 14. Although normally the artist’s works are included in the sales of the most important works from the 19th century, “La Jeunesse de Bacchus” will be included in Sotheby’s Impressionist & Modern Art exhibitions starting May 3 in the newly expanded and renovated New York galleries. In fact, this work is to be included in the Impressionist & Modern Art Evening Sale. 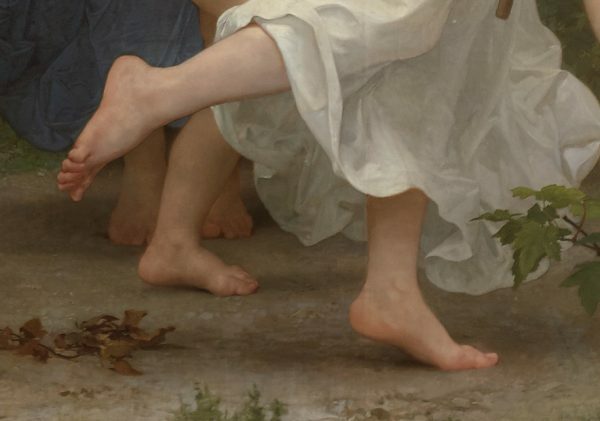 Its presence in this sale marks the first time that a work by Bouguereau is being presented in Sotheby’s marquee evening auctions, designating the importance the artist has attained in the 21st century and the significance of this specific work. The work is estimated at $25 million to $35 million, but in truth, a work of this nature is priceless and belongs to all of humanity. Hopefully, it will be acquired by one of the world’s largest and most prestigious museums. William Bouguereau (1825–1905), the most popular artist in all of 19th-century France, is indeed becoming one of the most popular artists of all time. 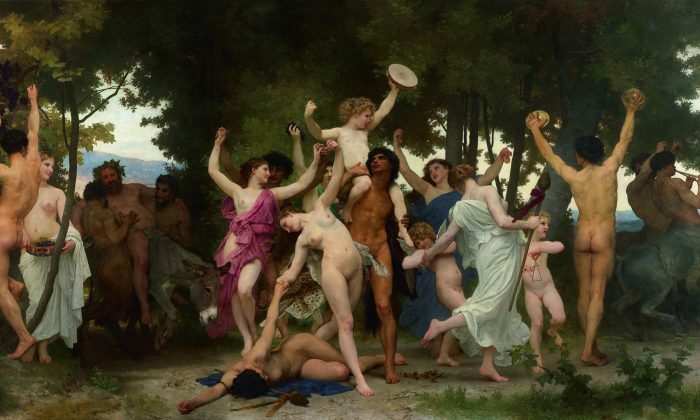 By the final three decades of his life, Bouguereau’s fame extended across all of Europe and America. Winning every possible award and accolade available to a French artist at the time, he was also a known fighter for justice and equality, donating considerable amounts of time to help the poor and the misfortunate. The artist was all but forgotten by the 1950s. By the late 1970s, public opinion began to change, and The Metropolitan Museum of Art put its three Bouguereau paintings on display in April of 1980, on permanent exhibition, for the first time since the artist had gone out of fashion, as Hilton Kramer reported in The New York Times. By 1984, there was the first major retrospective of the artist’s works, which traveled from the Musée du Petit-Palais in Paris to the Montreal Museum of Fine Arts and finally to the Wadsworth Atheneum in Hartford, Connecticut, in 1985. 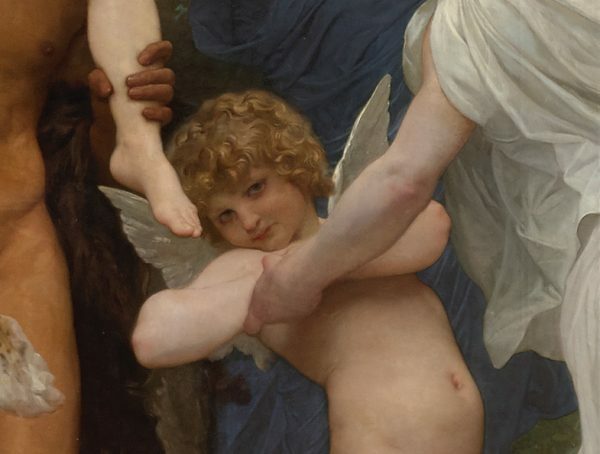 “La Jeunesse de Bacchus” was included in this exhibition, and it has been the only time this specific work has left Bouguereau’s studio since his death in 1905. During Bouguereau’s life, the work was unveiled at the Paris Salon of 1884, followed by exhibitions in London and Antwerp through 1885. The work then accompanied the Paris Exposition Universelle in 1889. This immense painting measures 20 feet in length and is 11 feet high, featuring 20 figures all at life size. The complexity and skill required to harmonize this number of figures in a fluid and melodic fashion is nothing short of astounding. Intertwining hands, overlapping feet, incredible precision in foreshortening, and an imaginative interpretation of the subject matter result in an awe-inspiring work. Bouguereau was known to have painted four main types of paintings that were most prevalent throughout his body of work, namely, his mythological works, religious works, works featuring peasants, and finally, portraits. Works of mythological subject matter and those featuring cupids were known as his “fancies.” The origins of his interest in this type of work most likely stemmed from his time at the Catholic college in Pons, where he studied ancient history and Latin and Greek mythology. This was later reinforced by his time in Rome, early in his career, after winning the Prix de Rome in 1850. Bouguereau painted this work over the course of three years. The subject of “La Jeunesse de Bacchus” is that of a young Bacchus. However, this is only the superficial subject of the work. In truth, it is an allegorical painting of the human capacity for joy and ultimately love of life, nature, and beauty, all of which the artist held dear. The timing of this work’s surfacing to auction could not be more appropriate. There is currently another major exhibition of the artist’s work that will travel. The show is titled “Bouguereau & America” and includes over 45 works by the artist. The exhibition is currently on view at the Milwaukee Art Museum until May 12 and is scheduled to travel to the Memphis Brooks Museum of Art from June 22 to Sept. 22, 2019. Finally, the show is scheduled at the San Diego Museum of Art, where it will be on view from Nov. 9, 2019, to March 15, 2020. 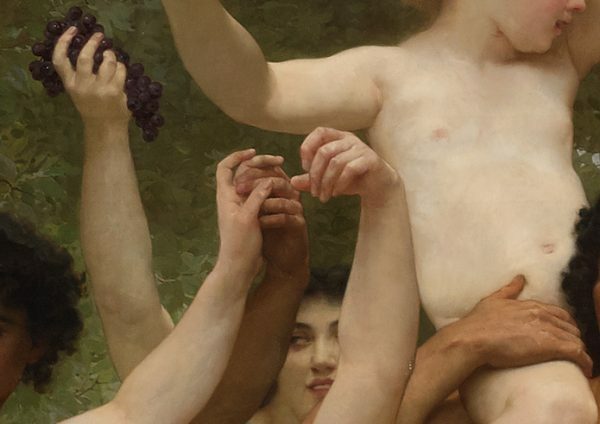 The work “La Jeunesse de Bacchus” has also just been featured in a new publication titled “William Bouguereau: The Essential Works” written by myself and the co-author of the “William Bouguereau Catalogue Raisonné,” Frederick C. Ross. All students, scholars, and art enthusiasts are encouraged to come to Sotheby’s to view this masterpiece while it is on public display. Depending on who purchases the work, it could be the only time it will be available for public viewing in the foreseeable future. Kara Lysandra Ross, the chief operating officer for the Art Renewal Center (ArtRenewal.org), is an expert in 19th-century European painting. Mandy Hallenius co-founded the DaVinci Initiative to help children gain realistic drawing and painting skills as well as open for them many avenues of cognitive development.